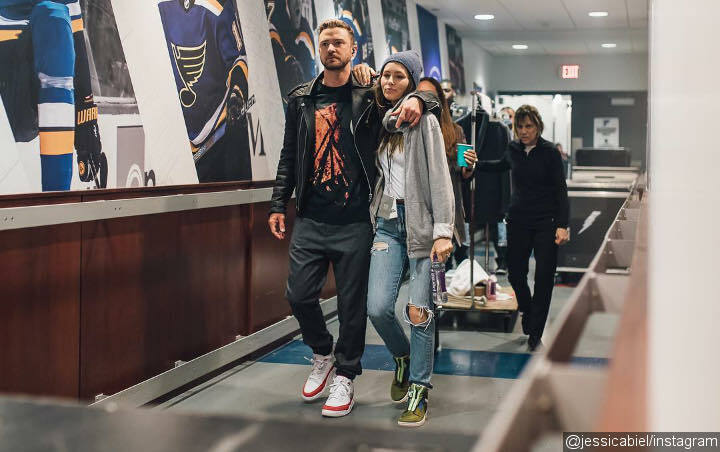 Jessica Biel capped off her naughty and cheeky social media activities throughout Justin Timberlake‘s “Man of the Woods Tour” with a heartfelt tribute video. The 37-year-old actress took to Instagram on Saturday, April 13 to send a sweet message to her husband as he delivered his final show at the Mohegan Sun Arena in Uncasville, Connecticut that night. Justin celebrated the end of “Man of the Woods Tour” with a party with friends and crew members. Jessica also shared on her account a series of Polaroid pictures taken from the simple bash. “Polaroid party!” she captioned it, adding the hashtags #lastshow, #motwtour and #friendsandfamily.